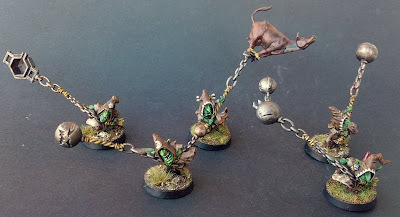 These guys complete the Night Goblin force of my army (at least until I build some Mangler Squigs and get the re-release of the old Fanatics...). It's a kit bash of the current plastic Fanatics with the 6th edition heads to make them fit in with the rest of the gobbos. I really enjoyed replacing some of the chain balls for other, more amusing items. 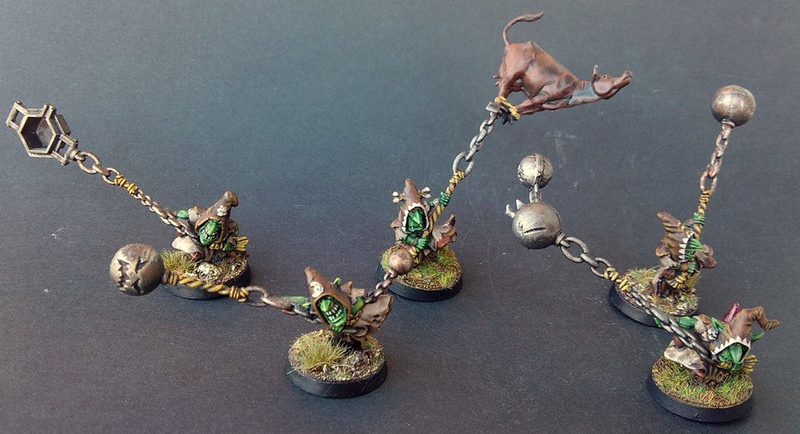 Yes, that one gobbo is actually swinging a cow.